How Do You Know If Your Electrical Panel Needs an Upgrade? If you’ve been in your home for a long time, there are some electrical phenomena that might occur that you think are just “quirks” of an older home, when they really might be indicators that your electrical panel needs an upgrade. Not only can an outdated panel be inefficient, but it could also be dangerous to your home as well as your appliances and light fixtures. What do you need to look for when it is time to upgrade your panel? 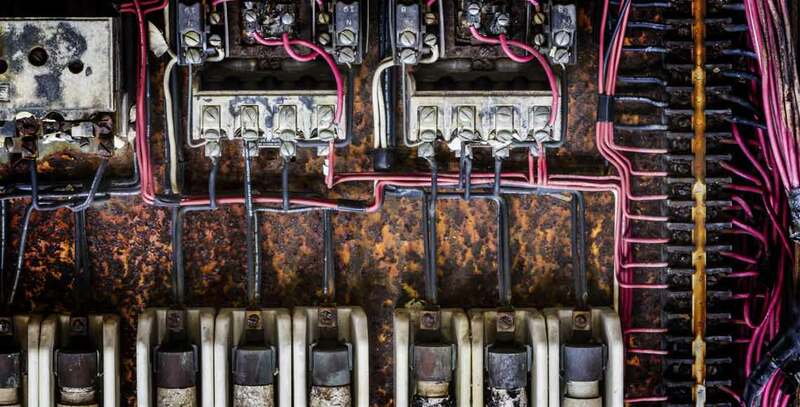 Are your circuit breakers tripping? If you find yourself making frequent trips to your box to flip a breaker, especially when there is nothing unordinary going on with your electricity usage, that can be an indicator. The lights get low for no reason. If you are watching a scary movie or getting ready for a romantic dinner, you might want to dim the lights. If they go low when you plug in the vacuum, it’s not nearly as appropriate. Need to cut the cord. You have to use extension cords or adapters to create additional outlets in your home. There shouldn’t be a reason to use extra cords and adaptors unless there is a unique circumstance. If you are finding yourself experiencing any of these electrical issues, you should consider having Blue Collar Electricians come out to perform an inspection. Our team of experts can determine if you need a minor fix or a full upgrade and replacement of your electrical panel! Contact us today to schedule your appointment! Get 10% OFF An Electrical Panel Upgrade!